Reporting period: December 31, 2018. Orders for Sikorsky, a Lockheed Martin Company, have not been included in the report. 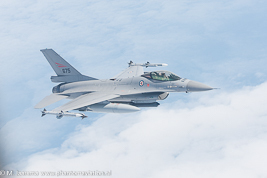 Bahrain became the first customer for the F-16V (Block 70) variant of the F-16. On June 22, 2018 the contract for 16 aircraft was awarded by the US DoD. Slovakia selected the F-16V to replace its current Mig-29AS/ABS fleet. The contract for LRIP 11 has been awarded to cover 141 F-35's for all three variants. The contract for LRIP 12 (first multi year block buy) is being negotiated between Lockheed Martin and the F-35 Joint Program Office. The US DoD annually awards a contract for the USAF, USMC and USCG. FMS orders are awarded separately. An order for fiscal year 2018 has to be awarded. 25 C-130Js are budgetted. Germany is expected to order six Super Hercules in December 2018. Aircraft Q1-2018 Q2-2018 Q3-2018 Q4-2018 FY 2018 Tot. Del. Orders for Sikorsky, a Lockheed Martin Company, have not been included in the report. Deliveries of helicopters are not specified in the Lockheed Martin report. The production line for the F-16 is moved from Ft, Worth, Texas to Greenville, South Carolina. F-35 Lightning II (relates to all three variants F-35A/B/C). Q1-2018: two F-35Bs two Italy and the United Kingdom. Breakdown of the deliveries to the USAF, USN and USMC unknown. Q2-2018: three F-35A for Australia, three F-35A for Israel, three F-35A to Norway, two F-35A to Turkey. Breakdown of the deliveries to the USAF, USN and USMC unknown. 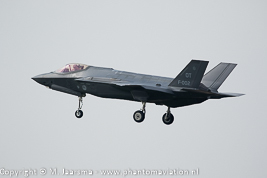 Q3-3018: three F-35A for Norway. Breakdown of the deliveries to the USAF, USN and USMC unknown. C-5 Galaxy (relates to the current modernization / upgrade of the C-5A/B/C fleet to C-5M). 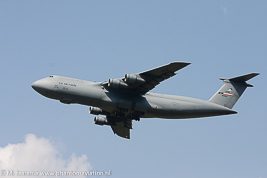 Lockheed Martin was awarded a contract to convert 52 Galaxies (C-5A/B/C) to the C-5M variant. The last aircraft was delivered in the third quarter of 2018. 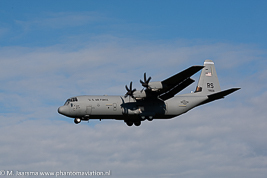 Q1-2018: Three C-130s for the USAF of which one C-130J.30 and two MC-130Js.